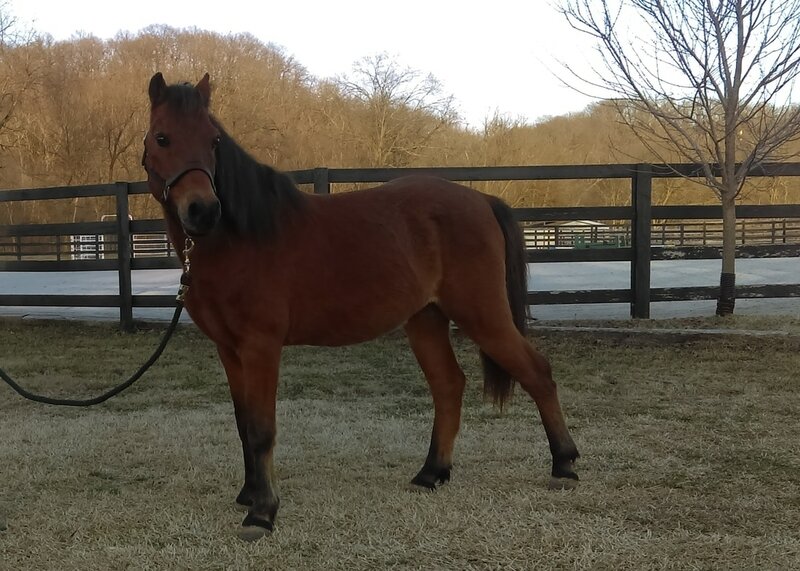 Due to staffing changes at our barn, we are no longer able to run a lesson program and use Bob as we intended, so he needs a new home. 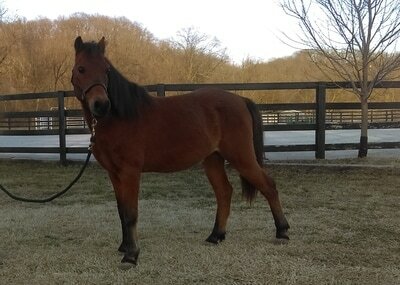 Bob loads onto trailers, stands nicely for the farrier, and can stand tied or in cross ties. He doesn’t mind bath time and he has no vices like cribbing. He gets along just fine with other horses and ponies. 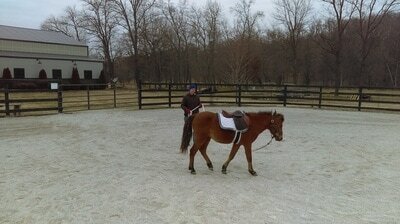 He will trot his little heart out for you under saddle and on the lunge line. Bob can even jump! Free jumping through a chute or on a lunge line, Bob jumps 2'6" bravely and shows a good sense for finding his distances to the fence. 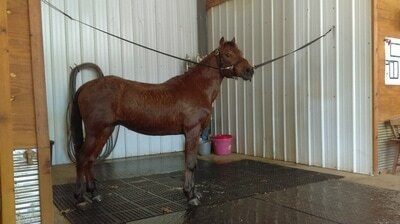 Previous owners did ride him in western tack. He is easy to ground drive, suggesting he could pull a cart. Bob is wary of strangers and may be hard to catch. Although he is obedient and kind-hearted, he is very shy in nature and therefore would be a better fit for confident/experienced horse owners. 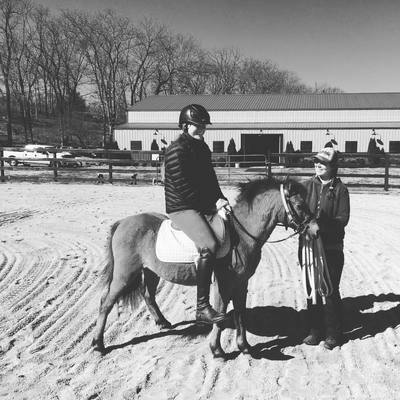 Bob's almost new pony tack is included! Congrats to Laura Mckenzie of Laurel Manor Equestrian Center on the purchase of Mister Bob! What a lucky little pony to be loved on by so many kids!